In today’s rumor rundown, there are more details on Jeff Carter’s status in Los Angeles and how his contract makes it extremely difficult for the Kings to move him. Brandon Manning understands that the Blackhawks are trying to move him and has a reaction and rumors are, Braden Holtby is the most interesting name to watch heading into the Seattle expansion draft. 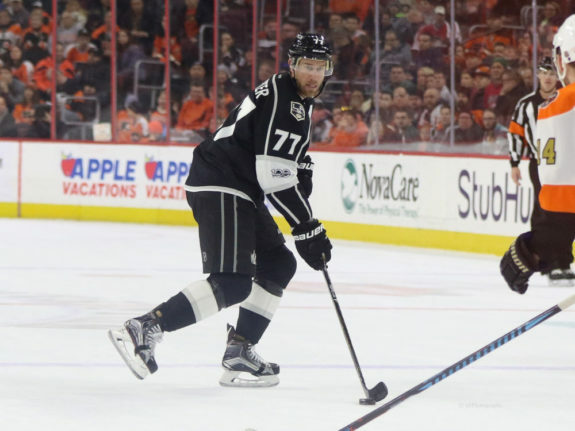 The LA Kings continue to struggle and with each passing loss, veteran center Jeff Carter has his name come up in trade rumors. Productively, he’s not having the best season of his career but he’s still known around the league as a strong goal scorer with playoff success under his belt. His cap hit also makes him attractive to certain teams. This issue when it comes to moving Carter is that his deal (which doesn’t technically have trade protection) acts like a full no-trade clause. The Kings signed Carter to one of those long-term deals that are illegal now and should Carter retire before it expires, they could be subject to a salary cap recapture penalty of $2.75 million per season. This means that the Kings need to keep Carter happy. If he retires in LA, they get nailed. If they trade him somewhere and he retires, they get nailed. It’s going to make it very tricky to move him unless he’s completely on board. Chicago Blackhawks defenseman Brandon Manning has struggled this season and made him an unwanted on the market and by his current team. There have been reports for weeks that the Blackhawks are looking to move him and according to Mark Lazerus of The Athletic Manning is open to being moved, especially considering he’s been scratched repeatedly under new head coach Jeremy Colliton. He hasn’t played since Dec. 12, and when he did, saw 13:20 of ice time —much less than his last two seasons in Philadelphia. Manning is very clearly not demanding a trade out of Chicago, but he wants to play. The issue is, NHL teams can only retain salary on so many contracts and he might not be the type of player to waste that on. Manning may be buried in the minors. Manning admitted that the fact he chose Chicago over other options makes his situation that much more frustrating — he’s already been putting down roots, and extending his Mandog Project for firefighters (his father’s a firefighter) into the city — but he hasn’t marched into Bowman’s office and demanded a trade. That said, he took notice of The Athletic’s report that he and Rutta were available, and he wouldn’t exactly be upset if such a trade materialized. 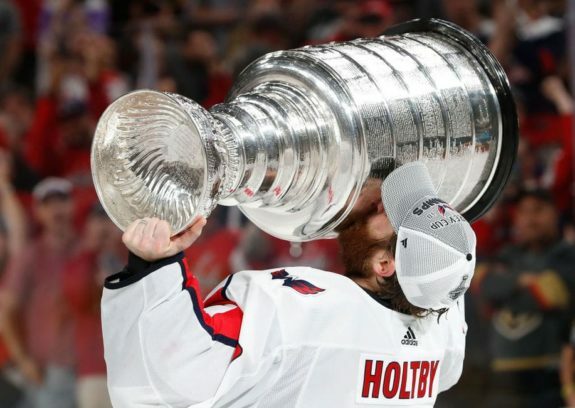 Given how things played out in the Vegas Golden Knights expansion draft, one of the most intriguing names in the NHL to watch over the next two seasons will be Braden Holtby. The Washington Capitals could find that they are a lot like the Pittsburgh Penguins who had to choose between Marc-Andre Fleury and Matt Murray and Fleury became the franchise player for the Golden Knights. Seattle might be thinking Holtby is the guy they build their platform around. The Capitals may have to choose between protecting Holtby or Ilya Samsonov and there is an expectation the Caps will choose the latter but that’s not a shoo-in decision. Will the Capitals protect a young budding prospect over an aging star? In doing so, will they be taking a risk that Samsonov can’t handle the load? The Penguins are learning now that relying on Murray might have been a mistake. The other thing to watch here is that Holtby will be eligible to sign a new contract with the Capitals before the draft and if he does, he may force the Caps to include a no-trade clause which would guarantee he stays in Washington and requires protection under the draft expansion rules.